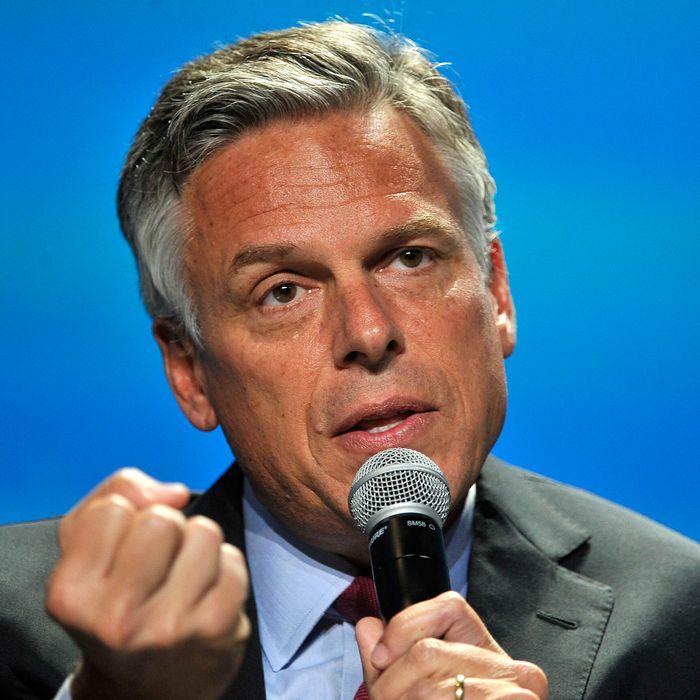 The White House announced on Tuesday that Jon Huntsman will be nominated as the U.S. ambassador to Russia, which is awkward for a number of reasons. First, there’s the whole Russia-election-hacking scandal, which was highlighted again on Tuesday when it emerged that President Trump had an undisclosed meeting with Russian president Vladimir Putin. Huntsman endorsed Trump for president in 2016, only to call on him to drop out of the race when the Access Hollywood video emerged. Finally, the Trump administration found a way to make the announcement even more uncomfortable: spelling Huntsman’s name wrong in the statement announcing his nomination. To be fair, sometimes it’s hard to remember who’s a “John” and who’s a “Jon” — but different spellings of his name within the same paragraph probably should have raised some flags.